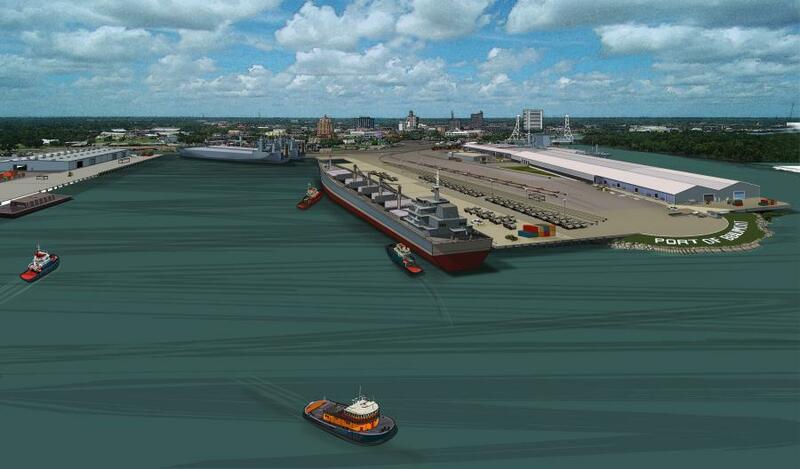 The Port of Beaumont Navigation District in Beaumont will receive $5 million to reconstruct three docks in support of the Main Street Terminal 1 Dock Project. The improved infrastructure will support additional cargo, resulting in increased economic activity and business growth for the region. According to grantee estimates, the project is expected to create or retain 15,760 jobs, while generating $9.8 million in private investment. U.S. Secretary of Commerce Wilbur Ross announced that the Department's Economic Development Administration (EDA) is awarding $10 million in grants to the state of Texas to enhance critical port infrastructure to support business development and disaster resiliency following Hurricane Harvey. According to grantee estimates, the projects are expected to create and retain more than 15,000 jobs and spur $9.8 million in private investment. "The Trump Administration has worked hard every day to help the communities of Texas recover in the wake of Hurricane Harvey," said Ross. "These grants will help local leaders strengthen the infrastructure of the Ports of Beaumont and Port Arthur to accelerate recovery efforts and boost the state's economy." "Enhancing Texas' critical port infrastructure means more jobs, more business growth and more economic success for the entire state," said Gov. Greg Abbott. "As we continue to restore our port communities following Hurricane Harvey, we are making them stronger and more resilient than ever before. This grant from the U.S. Department of Commerce speaks to the important collaboration and cooperation between state, local and federal officials throughout this process, and I thank Secretary Ross for his commitment to Texas." "With the help of community, resilience, and sheer hard work, Texans have come a long way since Hurricane Harvey hit last year, but scars of its devastation still show throughout our state," said U.S. Sen. John Cornyn. "I'm thankful to the Department of Commerce for providing these federal grants to the Ports of Beaumont and Port Arthur to create jobs, facilitate trade, and help Texas families get back on their feet after the storm." "Hurricane Harvey's 135 mph winds and historic flooding left the Texas Gulf Coast, including Port Arthur and the Port of Beaumont, with 250 miles of devastation," said U.S. Sen. Ted Cruz. "Through the funding provided by Congress to the Department of Commerce in the disaster relief funding bill passed earlier this year, and with the support of federal, state and local partners, Port Arthur and the Port of Beaumont continue making strides down the road to recovery. In the face of this destruction, Texans continue to stand united as we rebuild the Gulf Coast stronger than ever before." "The Port of Beaumont and the Port of Port Arthur are two critical ports on our Texas Gulf Coast," said Congressman Randy Weber. "As the busiest military cargo port and a major break-bulk port, respectively, these two ports matter a great deal to our national economy and security. Harvey did damage to much of our region, and with these grants, we are getting our ports back in their best working condition." The Port of Port Arthur Navigation District will receive $4.8 million to make rail, storm drainage and roadway improvements to increase capacity and promote economic resiliency in the Southeast Texas Region. According to grantee estimates, the project is expected to create or retain 200 jobs and generate $36 million in private investment. These projects were made possible by the regional planning efforts led by the South East Texas Regional Planning Commission. EDA funds the South East Texas Regional Planning Commission to bring the public and private sectors together to create an economic development roadmap to strengthen the regional economy, support private capital investment and create jobs. For more information, visit eda.gov.